Ross Hammond, who is currently studying on our MSc Audio Engineering programme and graduated last year with a first class honours degree in BSc (Hons) Sound, Light and Live Event Technology, placed second in this year’s Audio Engineering Society UK Postgraduate Student Research Competition, held at King’s College London. Ross’s research is a continuation of his undergraduate research looking into issues in speech intelligibility metrics due to discrete late-arriving reflections, in collaboration with Peter Mapp. 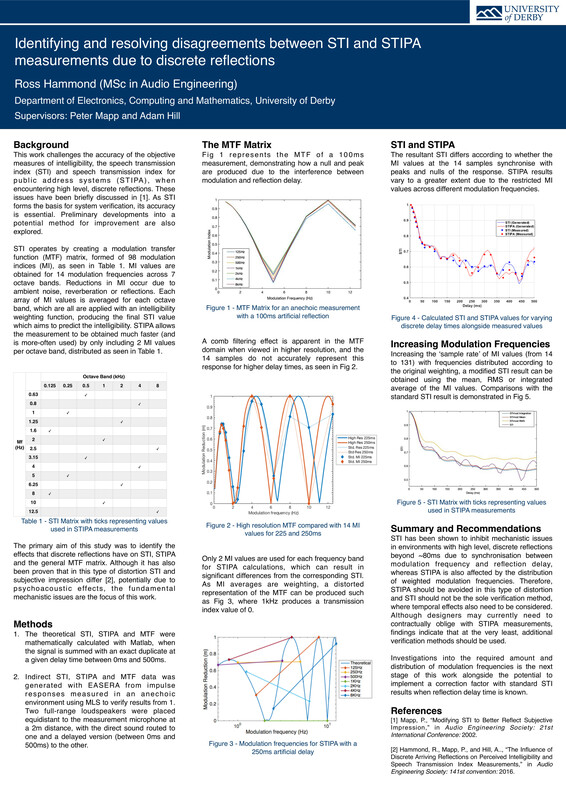 This work has been presented at AES conventions in Paris and Los Angeles, with another paper submitted for the upcoming Berlin convention. Ross’s work has gained considerable attention since it was first published in 2016; so much so that the work is referenced in a new British Standard for speech intelligibility! 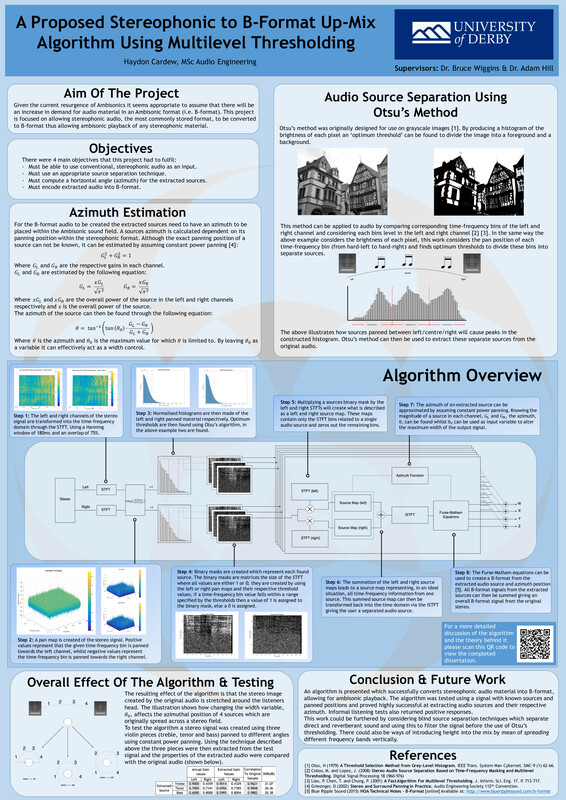 Also making the shortlist for the AES competition was Haydon Cardew, a recent MSc Audio Engineering graduate, who was looking into stereo to B-format upmixing algorithms. Click on the images below to see Ross and Haydon’s posters. Well done to both!